Formal statements by health and welfare professions, in the guise of their associations or of academic commentators, frequently make reference to their purpose in ‘meeting need’ (Jolley, 1989; Ellis, 1992). Yet such statements cannot be taken at face value. 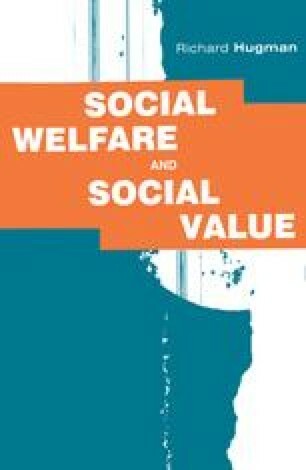 Although plausible as a goal of social welfare, such statements have been repeatedly shown to be partial in that caring professions both meet need and at the same time impose constraints on the lives of their service users (Wilding, 1982). They are both caring and controlling. This contradiction has been explored particularly in the literature on social work, but also has been addressed in nursing and the remedial therapies (Abbott and Wallace, 1990; Hugman, 1991). The contradiction arises because it must be questioned ‘whether the essence of nursing can be stated except in relation to the society in which it exists’ (Ellis, 1992, p. 201). The same may be said of all the health and social welfare professions.